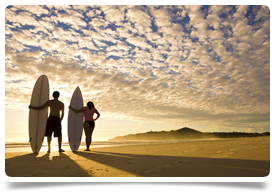 There are positions available for 3 GPs across 3 medical centres in the Wollongong area. The owner of these centres is a UK trained GP himself and is only looking for UK trained GPs to join him. The owner has taken great care into ensuring they are both comfortable, pleasant places to work. The focus is on quality health care with high levels of patient care and to recruit GPs with the same ethos. Essentially the centres have been set up to UK standards and enjoy the benefits of a great location and climate. Through time they plan to develop further centres and become an accredited teaching practice. The centres accommodate 4 GPs in each and are fully computerised by a linked system, there are fully equipped treatment rooms, on-site pathology and GPs will be supported by experienced practice manager, full time nurses and receptionists. A full and in depth induction will be given on arrival. They are bulk billing clinics and lots of research has been undertaken to ensure there is a good patient base ready and waiting. Appointments will be booked at 15 minutes (10 minutes max). The patient demographics is varied with above average population of over 65’s and lots of working families. There may also be an opportunity to service nursing homes in the area. Opening hours will be Monday – Friday 8am – 6-pm and Saturday morning. Through time they plan to extend opening hours to 7pm during the week and Sunday morning. Weekends and evenings will be on a shared roster. We've already placed a few GPs in these practice all of whom are thoroughly enjoying their new and fulfilling jobs! To be considered for this position you must have UK or Irish specialist GP Training along with MRCGP/MICGP. Wollongong lies 50 miles south of Sydney and has an approximate population of 300,000. Wollongong has beautiful beaches with a dramatic backdrop of green and sandstone of the Illawarra Escarpment.